In the time leading to the American Civil War, the Underground Railroad helped slaves in the United States escape across the Suspension Bridge to freedom in Canada. After the war, the bridge became a symbol of inspiration to Americans, encouraging them to rebuild their country and pushing them to quickly industrialize their nation. 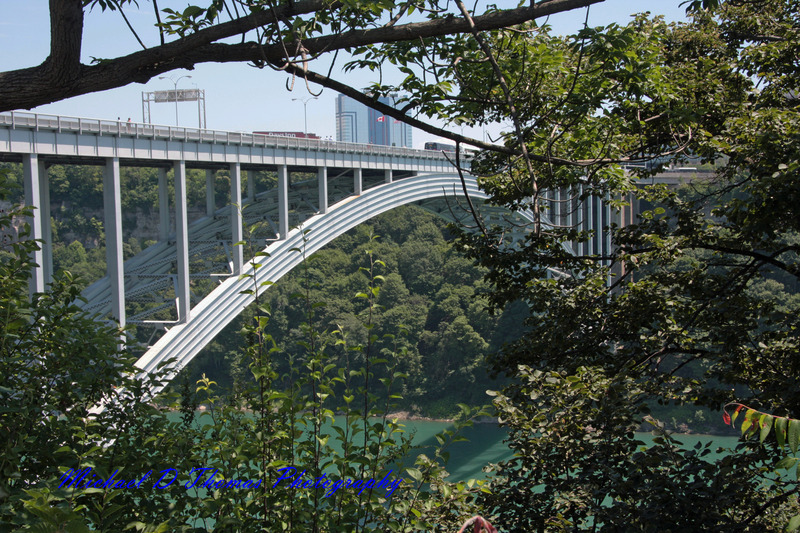 This entry was posted in Photography and tagged arts culture, I’m Posting every day in 2011, Niagara Falls, Photography, Quotes, thoughts, wisdom. Bookmark the permalink. Hey Kay, I agree with you! Love the history of this gorgeous bridge! Thanks for sharing this beautiful photo and the history of its contents. The quote is quite awesome too, I do as described as much as possible but in some cases after a certain point, you must allow folks to arrive at their own place of light AND at their own pace or else they could end up draining you dry. You know? So true, I’ve learned to let go sooner as I get older.